I made this pie in December for a dessert exchange. But Christy Jordan from Southern Plate did not disappoint and this pie might be one of my top favorite desserts of all time! It was so good that the hostess' husband came home as the party was winding down and ate the rest of the pie for dinner! Preheat oven to 325 degrees. Mix the butter and graham crackers together and press into the bottom of the pie dish evenly. Bake crust for 5 minutes and allow to cool completely. 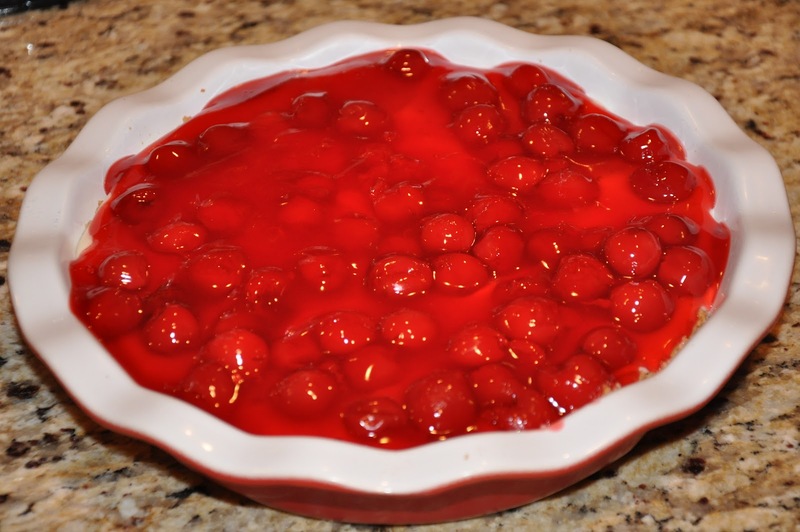 Ohmigoodness this looks like the perfect dessert :) I love cherries! 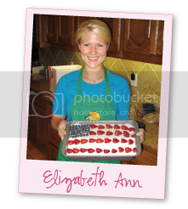 oh my you had me at pie elizabeth ann!! this looks incredible and i want to go home right now and bake to my heart's content! This reminds me of a recipe I had when I was a kid that I LOVED. Thanks for this one. I just looked in my mom's recipe file (which I have now) and this is exactly the same recipe that she cut out at least 40 years ago from the label of a Borden's Condensed Milk can. I always loved this one growing up. It's great that it's going around again. Thanks for reminding me about it. I'll have to make it for my son. My grandmother has made this for me since I was little. I love it! We use the pre made graham cracker crust, just to make it a tad easier.